Styled with cohen pant terado and larry t-shirt . Tailored for a fluid silhouette that's cut to flatter, this version of the Demy is made with Terado — signature satin-back crepe from one of Japan's most innovative mills. Inspired by '90s power dressing, the fit is made modern with softer, relaxed proportions. Im 5 ft 4 inch, 130 pounds. It fits bigger so I bought an XS. I recommend buying a size smaller. It drapes nicely, the fabric can be better quality though. But it goes nicely with the matching pants. 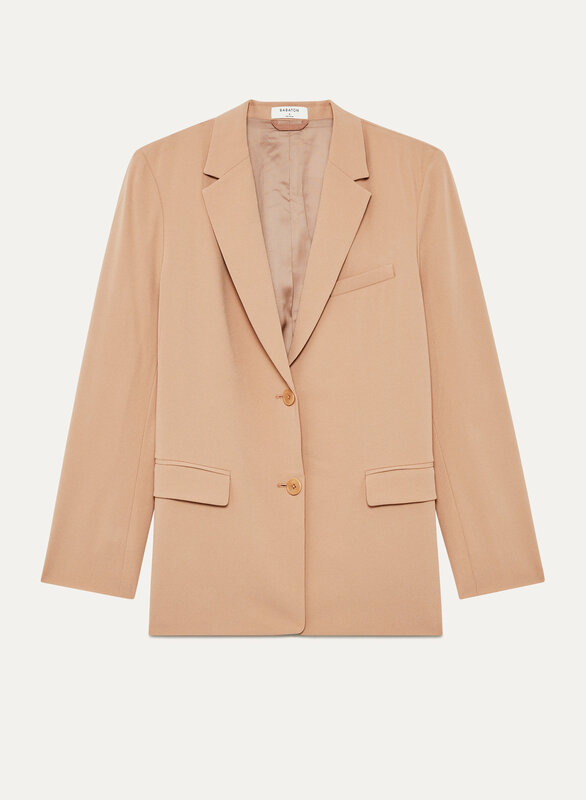 This is a great oversized blazer. I am 5’4, athletic build, 134 lbs and the small fit me perfectly. I usually run between a small and a medium.